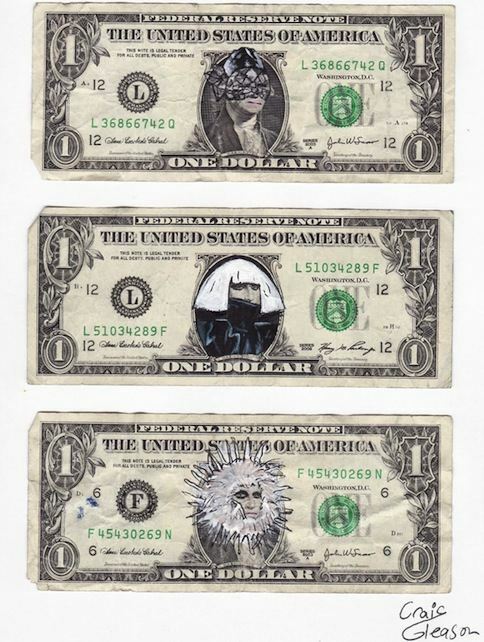 What happens when you mix anonymity and emotions with money? Be careful when you make financial or romantic connections through the Internet. Sometimes, it does not pay to go online, especially if you have money! Sometimes the price is just too high, such as when people forgo their relationships by spending too much time on the Internet, like when they ignore their family, career or even their daily responsibilities, or when their kid runs off and disappears to meet up with a MySpace friend. There are all sorts of horrible things that go on in the underbelly of cyberspace that you may have heard spotlighted in the news at one time or another. When you combine anonymity with money, things can get pretty dicey. When you’re on the web, beware of fraud, identity theft and all other forms of cybercrime. Case in point: some years ago, I read about a particular crime that took place in a local SF Bay Area neighborhood. The biggest takeaway from that tragic story was that any dealings you have on the web should be approached with absolute care and a healthy dose of skepticism. The story was about a San Bruno, California man, who was by all means a successful carpenter and musician. He had a modest home in the suburbs, and had a penchant for foreign women. He built up a reasonable asset base from an inheritance he received from his mother and used the equity to invest in real estate. Then one day, he decided to visit a Brazilian matchmaking website and was excited to meet the lady of his dreams. He proceeded to shower the woman with luxurious gifts and eagerly spent $20,000 for a car, $10,000 for his girlfriend’s license to do Botox treatments(!) and college tuition for her child. After basically forking out a small fortune for his romantic interest, what followed was frighteningly predictable: fraud activity against his credit cards, confrontation with said lady of his dreams who committed the scams, forcible extortion and robbery of almost $200,000, then his disappearance and sadly, his untimely end (at the hands of the fraudster and her accomplices). Despite his suspicions, this poor fellow still bought a diamond engagement ring that he hoped to give away at some point. This was another case of how online dating turned into fraud and finally, disaster. Don’t get caught in a bad romance. Image source: Craig Gleason. Not as tragic but still disturbing is what you can encounter while transacting on Craigslist or some other classified ad service. There have been reports of crime involving people who, in their interest to add to their collection of gang memorabilia, would seek their victims via Craigslist. Apparently, hoodies are considered a great collectible in some nefarious spaces, so beware and be careful about your decisions to post on Craigslist. Then there’s the bizarre story of Philip Markoff, who has done the unthinkable and used Craigslist as a way to find victims. Again, watch your step when dealing with strangers online: you never know what kind of morally challenged species you can attract. Make sure you carefully screen your buyers and just about anyone you meet over the net. These are just a few examples of what happens when strangers meet — indeed, this can happen anywhere, but it so happens that the net facilitates the meeting of strangers even more easily. Always be wary and watchful of your surroundings and the people you deal with; it’s easy to forget that unscrupulous souls lurk everywhere. In some cases, when your online existence meets real life, you may never know what can strike you, especially if money is involved. Tips: On the subject of ID theft, do check out the following articles. Only pay for identity theft services if you absolutely feel you need those services. Many times, you can DIY. Should You Get Identity Theft Protection? Do you have any cautionary tales to tell about the Internet? This post will hopefully caution people to be careful. However, its not just on-line where people need to be careful. I have read of people getting robbed or assaulted after putting classified ads in regular newspapers. Hopefully people will pay more attention to the things that they do online. Also placing ads either online or in the newspaper like Praveen said can be dangerous also. Be careful when posting pictures online, because I read that there is some type of GPS code in the picture and people can tell where the picture was taken. Very scary stuff, people should just be cautious regardless of where they are at online or offline. Thanks Rose! Yes, we are all very trackable these days via our gadgets. You take a picture and you can be located. A lot of privacy issues are at stake here when we make transactions or conduct business online or offline. We can also be watchful of our sensitive information, but sometimes, I wonder just how effective our precautionary measures are against the new trends in technology. Businesses now know our every move. The question remains: how vulnerable are we to cybercrime when we deal with small guys vs big business? The answer is: always. The latest high visible ID theft issue that was reported had to do with the Sony Playstation security breach. That was and IS pretty scary. To my mind, the Big-Brother-is-watching-you issue is even creepier than the risk of encountering malefactors online, because Big Brother is now big business, which has no regulatory controls on the degree to which members of the public can be spied on or the amount and type of information that can be compiled. Much of this information has the potential to be used against you in lawsuits or criminal charges — it’s information the government is not allowed to collect, but which a prosecutor or opposing lawyer can obtain simply by subpoenaing a number of vendors with which you do business. People are very naive about privacy issues and freely give out information that is no one’s business and that can be used to harm them. Should you divorce, for example, do you want your spouse’s lawyer to know just how much liquor or tobacco you habitually buy? Do you want your insurer to have those records? People have to use their common sense. If it sounds too good to be true, most like it isn’t. People know this but they just want it to be true. It’s unfortunate. It happens every single day. Reduce The Risk of ID Theft. Don't Get Scammed!